Bus Advertisements are getting more and more creative now that they can wrap them in giant decals. 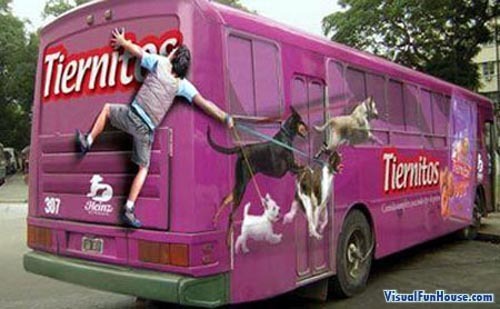 This poor chap smacked right into the side of this bus when his dogs were chasing that bag of Tirenitos. Last week we had a fairly gruesome ad where the guy was smacked into the windshield with blood splatting.